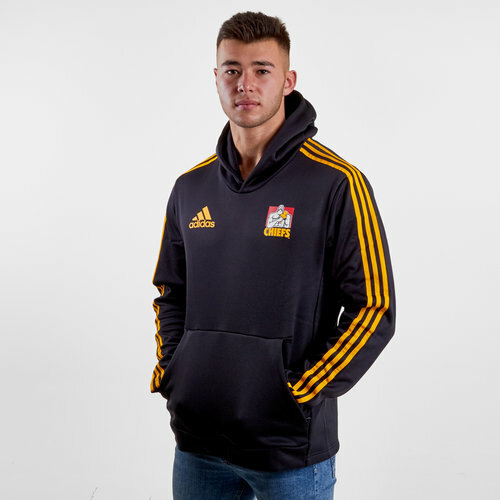 Show your passion and support for the Chiefs when you pull on these adidas Waikato Chiefs 2019 Hooded Rugby Sweat in Black and Collegiate Gold. 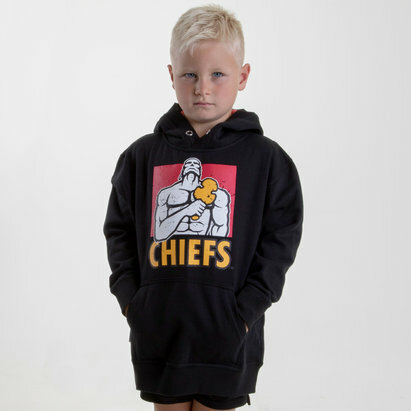 The Chiefs are a rugby union team from Hamilton who play their rugby in the Super Rugby league. Until 2004, the Chiefs were the only New Zealand side never to have qualified for the Super 12 semi-finals. In that year the Chiefs earned their first semi-final berth, and in the end, achieved fourth place. They subsequently reached the 2009 final, but found themselves on the short end of a record 61–17 defeat by the Bulls. The Chiefs were rewarded with a home final after a strong 2012 season. The Chiefs defeated the Sharks 37–6, winning their first title. In 2013, the Chiefs became the fourth team to record back-to-back title wins, when they defeated the Brumbies 27–22 at Waikato Stadium. 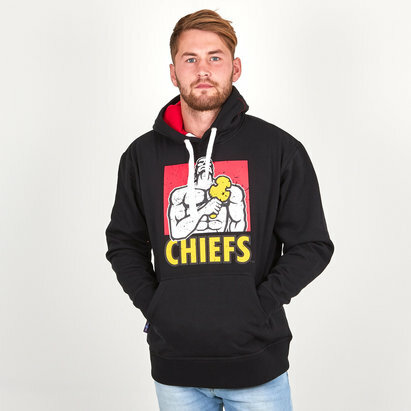 adidas are the Chiefs kit suppliers with this rugby-inspired hooded sweat paying tribute to the successful side. This sweat has been made from soft French terry fabric and comes in a regular fit making it wider at the body. This hoody comes in black with the adidas classic 3 stripe motif in collegiate gold down the arms. The adidas logo is on the right whilst the Chiefs logo is on the left.